I always love reading your posts on marriage. This year, Jonathan and I have started reading a devotional book together first thing in the morning. It takes less than ten minutes, but I’m amazed at what a difference it makes just to start our day *together* in God’s Word! Thank you, Christa! 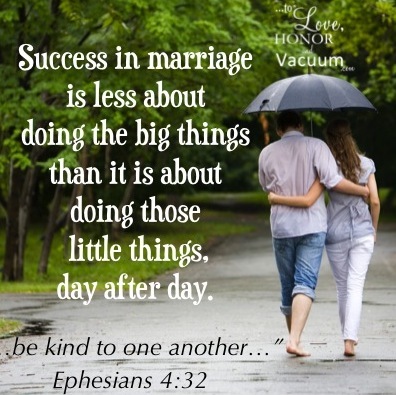 That “little thing” you all are doing in the morning is a huge thing for your young marriage. And, “together” is always good!! Keep writing, too! !